Mac is by the legendary sire Dash Ta Fame, the number 1 leading barrel racing futurity sire for many years. Dash Ta Fame is #1 in Equi-Stat’s top barrel racing sire list for all ages and divisions with offspring earning in excess of $15 Million. These horses are chosen by top trainers because of their athletic ability. They can both run and turn. They are said to be naturals around the barrels with a smooth moving stride and blistering speed. The Dash Ta Fame/Lanes Leinster cross is one of only 2 proven magic Dash Ta Fame crosses and it is proven in both race and barrel racing worlds. His dam Stella Lane set a track record, has a speed index of 101 and has progeny earnings of $237,131 on the track. A full sister to Mac won money in the WPRA and ran low 17’s on a standard pattern. 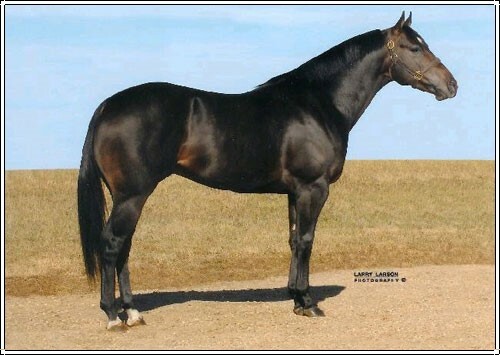 Lanes Leinster SI 101 is a stakes winner, sire of 19 stakes winners, sire of 19 Barrel Race performers earning $80,849. Mac is a tidy headed, classy moving Dash Ta Fame stallion. He throws extremely athletic foals with his good looks carrying through. His first foals will make their futurity debut in 2015. They are said to be handy and have that Dash Ta Fame turn. 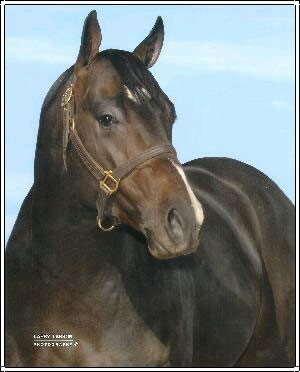 Mac N Fame’s RACE RECORD: At 2, Register of Merit, 2 wins, twice 2nd, twice 3rd (Canadian Quarter Horse Cup Futurity [R][G3] (2007 LBG, $9,234 (CAN); at 3, 2008, once 2nd (Bayer Legend Canada Derby Challenge (2008 LBG, $6,550(CAN), once 3rd, finalist in Canada Championship Challenge [G3] (2008 GPR, $1,380(CAN). Earned $29,420(USA), ($9,426, $20,307(CAN). Several offspring available at the farm. Mac N Fame’s stand out offspring in 2016 was Miss Mac N Fame. Wyoming’s Sara Cheeney rode this nice mare to many futurity paychecks. She’s been running low 17’s on a standard pattern. We’re excited to see what the future brings for these two and the other up and coming Mac’s she has on the go. If you have videos of your Mac N Fame foals, send them out way we’d love to share.